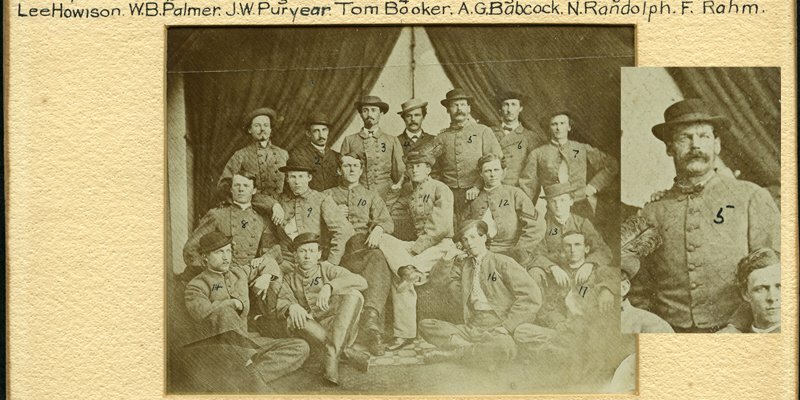 GUEST BLOG / By The American Battlefield Trust--The U.S. Civil War [1861-65] helped transform the game of baseball from a regional pastime in America's northeast into a national obsession that endures to this day. During frequent periods of downtime soldiers already familiar with the finer points of the game introduced their comrades to the sport. 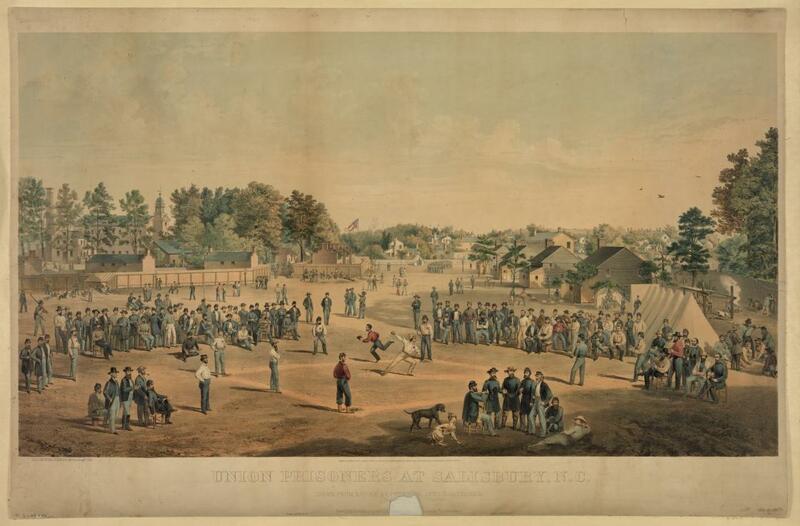 This Civil War-era lithograph depicts Union prisoners held at Camp Salisbury, North Carolina playing a game of baseball. 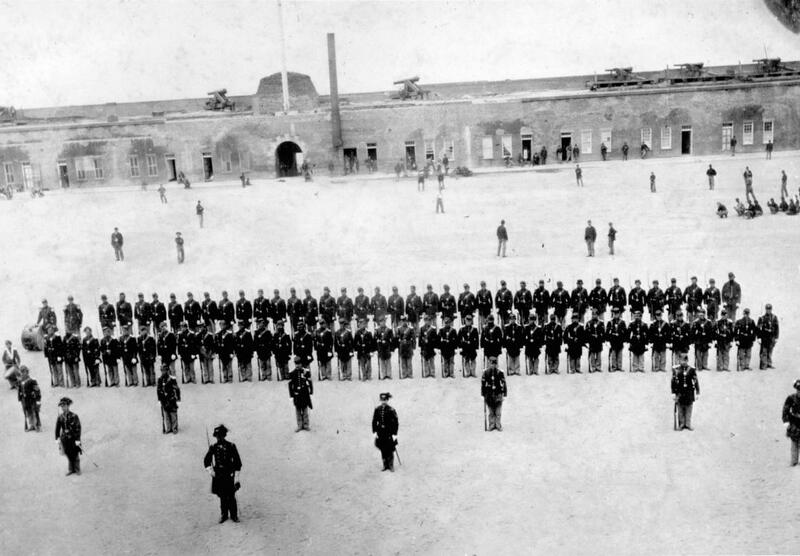 Casual baseball games in army camps and prisons helped spread the game's popularity throughout the country. Baseball’s Adam & Eve. 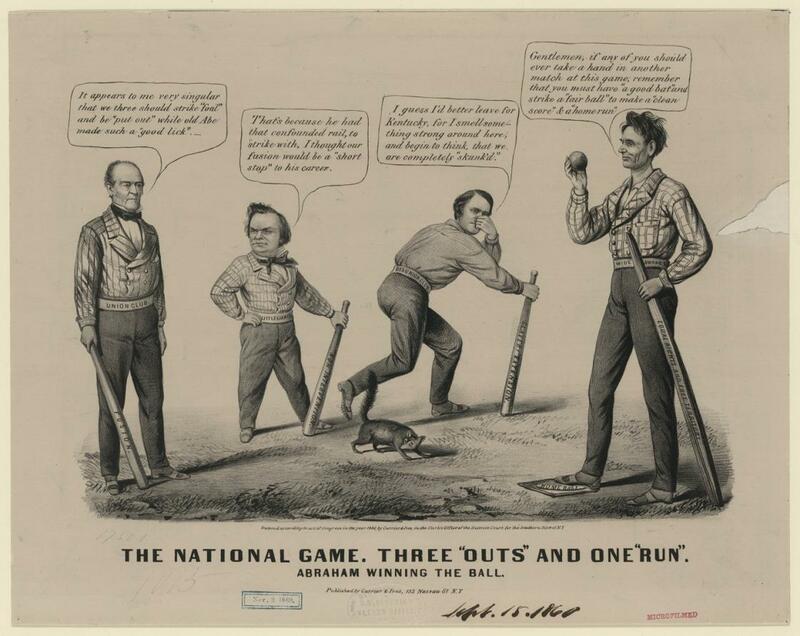 Insists a well known myth, Abner Doubleday, who would serve as Robert Anderson's second-in-command at Fort Sumter and go on to command a division in the Army of the Potomac, invented baseball during an 1839 visit to Cooperstown, New York. In fact, the game of baseball evolved from various eighteenth and early-nineteenth bat-and-ball games, including the British game of "rounders." 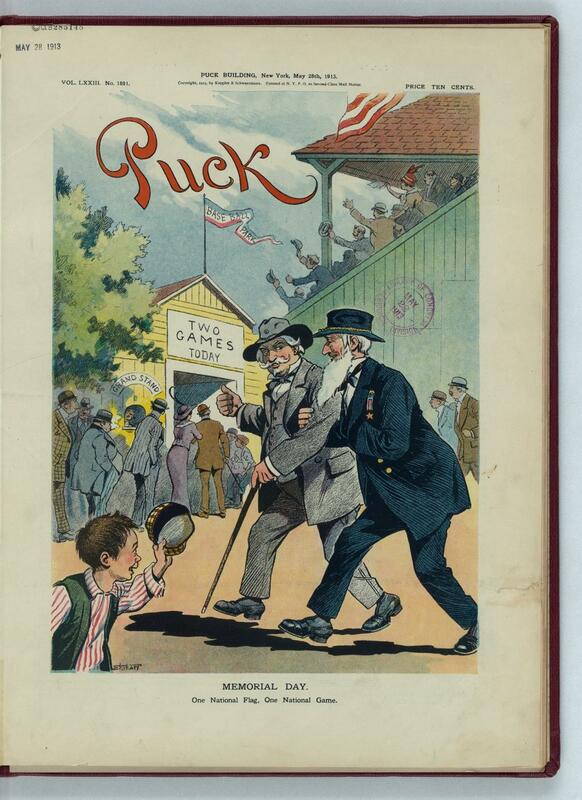 The Doubleday myth originated in the early 20th century through the work of the Mills Commission, which was set up by Major League Baseball leaders to discover (or invent) a purely American origin for baseball. Posed next to Adam is Eve a.k.a. Mary Hewitt Doubleday. 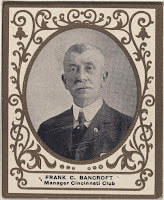 During the first year of the Civil War, Frank Bancroft enlisted as a musician in a New Hampshire Regiment. 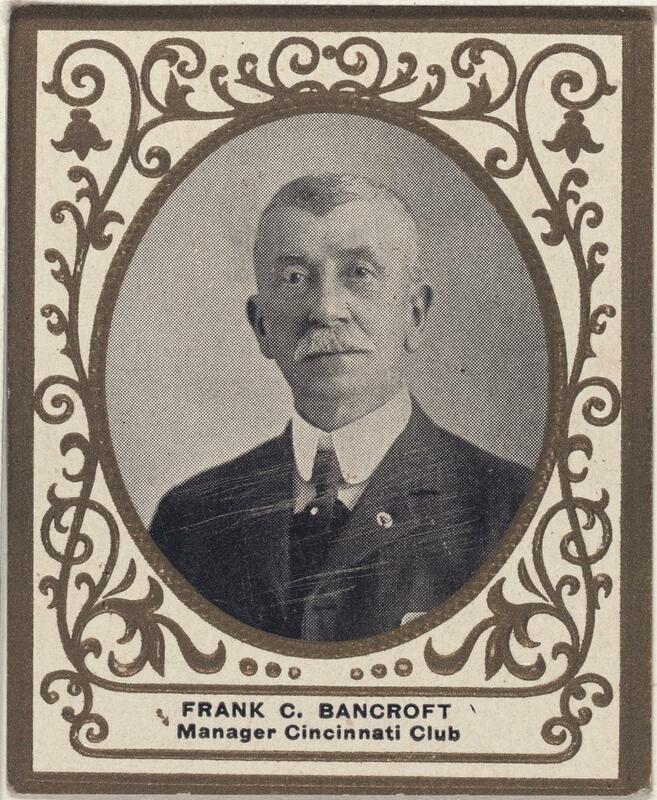 During his time in the army Bancroft, who served under a false name due to his young age, was wounded in action. After the war, he made a name for himself as one of the most successful managers in baseball. In 1884 he managed the Providence Grays to victory over the New York Metropolitans in a three-game series that was the first championship series known as the "World Series." 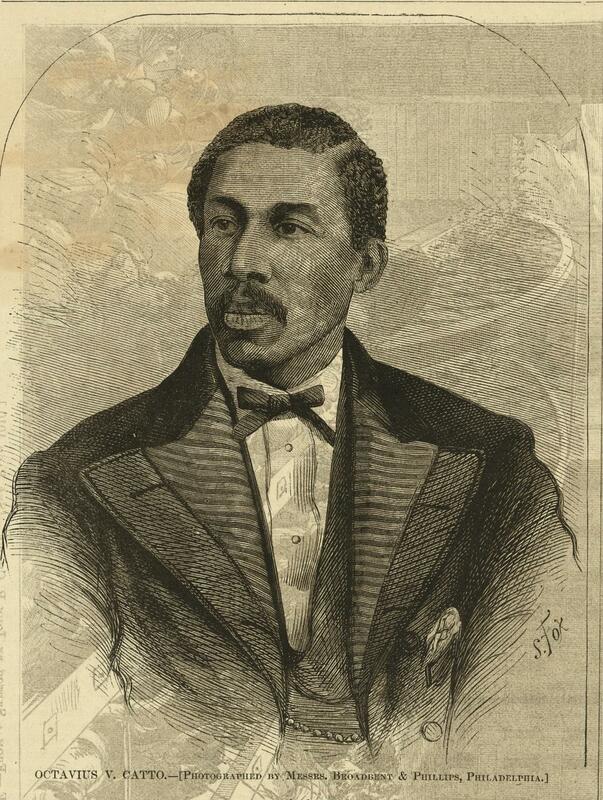 Born in 1839, Octavius V. Catto was an educator, civil rights activist, and baseball pioneer. During the Civil War, he helped recruit African Americans for the Union army. After the war, he helped lead a successful effort to desegregate public transportation in Pennsylvania, making use of civil disobedience tactics more than half-a-century before the birth of Martin Luther King Jr. 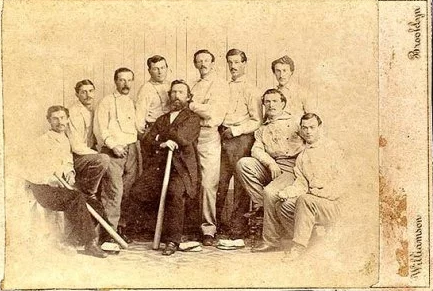 In 1866 Catto helped found the Pythian Base Ball Club in Philadelphia when African Americans were denied membership in all-white organizations such as the Excelsior Base Bale Club. Tragically, on October 10, 1871, Catto fell victim to a white supremacist assassin.